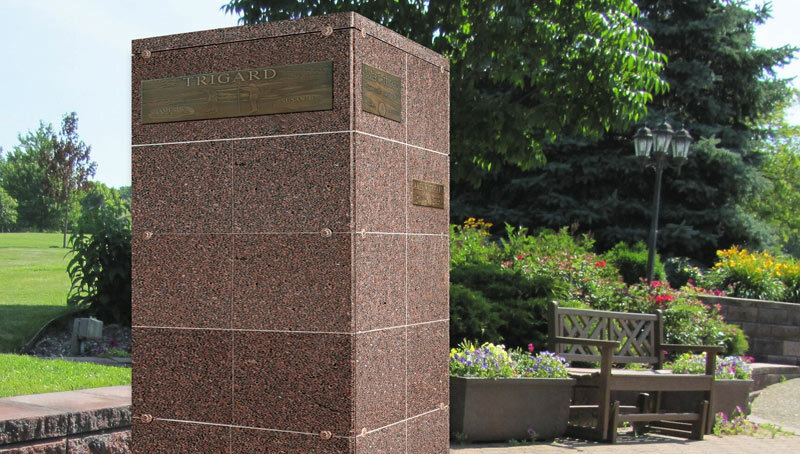 Strong, secure and beautifully finished in granite panels, Trigard’s Niche™ Towers provide a flexible solution for cremation memorialization. Within the footprint of one traditional grave, you can give dozens of families a beautiful place to share memories. 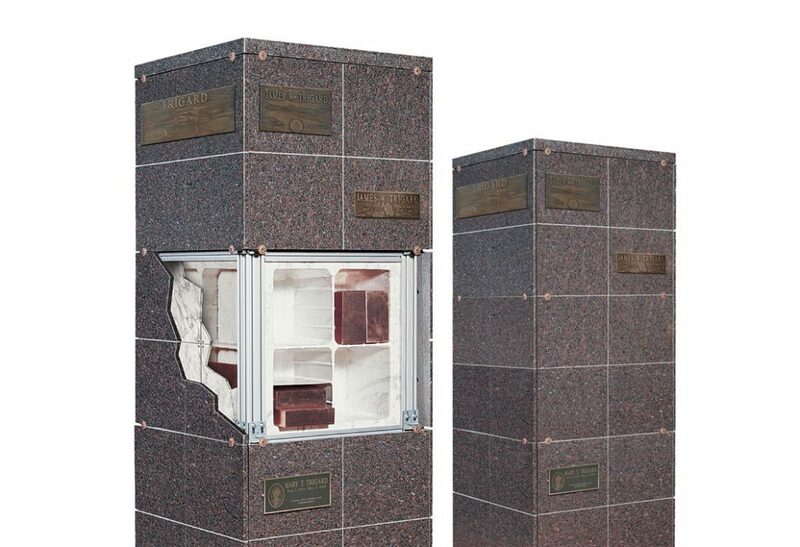 Our scalable, multistage Niche Tower system is easily shipped and assembled, whether you require only one unit or are designing an entire memorial garden. Funeral home and cemetery owners can send us a picture of your space and our team of graphic artists will help you imagine the possibilities with a virtual mock-up. Call (800) 637-1992 or email us and ask for more information.